I haven’t been very experimental lately with dinner and have been very bored with our meals. However this last weekend after having a delicious chicken casserole at a friend’s house, I got busy in the kitchen. 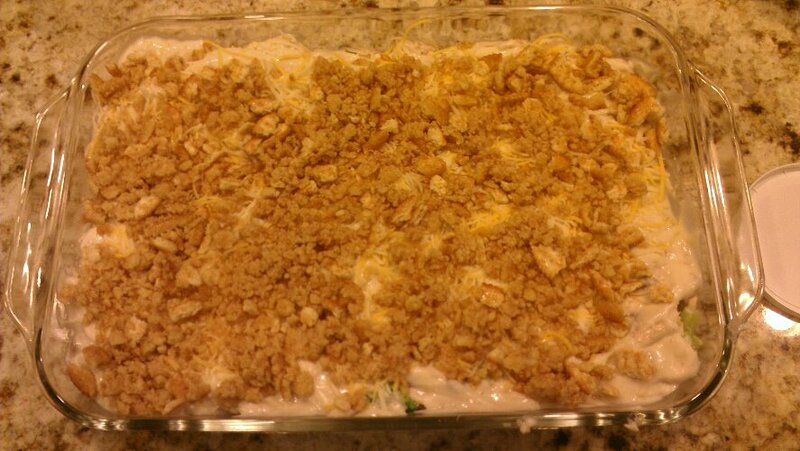 I really liked the casserole she made, but I knew that Mike would want more to it. 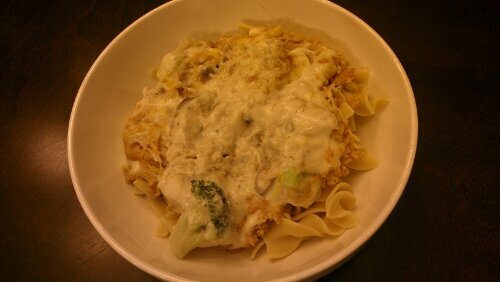 Thus I created my own version of chicken stroganoff. In a bowl mix up the chicken, broccoli and mushrooms. 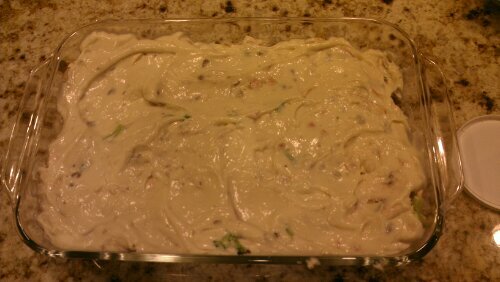 Spread mixture into a 13×9 baking dish and set aside. In a bowl mix together both soups and the sour cream. Spread this mixture on top of the chicken mixture, covering the chicken mixture fully. In a bowl melt the stick of butter and crush up the crackers into the butter. Spread the cracker crumbles onto the soup mixture. Bake for 30 minutes. Serve over cooked egg noodles. Next postKnock knock.. This thing on?